A two day course with Sarah Garforth as part of the Season of Printmaking. The first day will be spent preparing two plates. 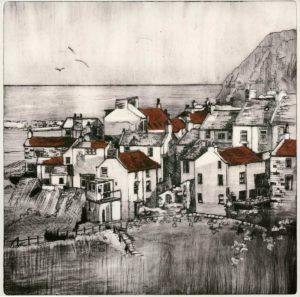 Sarah will introduce you step by step to the possibilities of using carborundum on card and drypoint on acrylic sheet using a variety of mark making processes to create your ‘plates’. Day two will mainly involve printing the plates in various ways and you will also be introduced to the work of other printmakers.